Arnott has introduced new aftermarket replacement air springs for the 2013-’18 Range Rover and 2014-’18 Range Rover Sport. Arnott’s new rear air springs A-3025 for the 2013-’18 Range Rover L405 chassis and A-3027 for the 2014-’18 Range Rover Sport L494 chassis feature an OE-quality air sleeve, heavy-duty crimping rings and high-impact plastic resin top and bottom pistons. 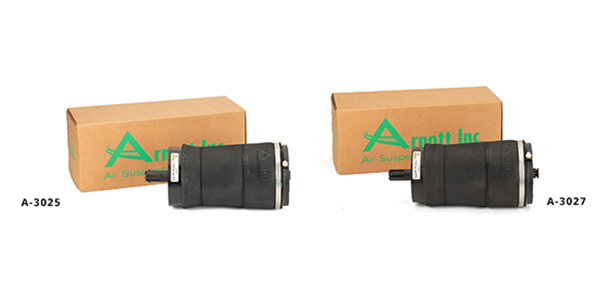 The Arnott replacement air springs are designed, assembled and tested in the U.S.
Arnott’s new universal Range Rover air springs fit either the left or right side of the vehicle and are backed by Arnott’s industry leading warranty. 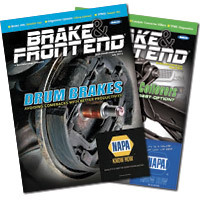 For more information on the company’s extensive line of affordable, high-quality air suspension products for more than 150 automotive and motorcycle applications, visit arnottindustries.com.